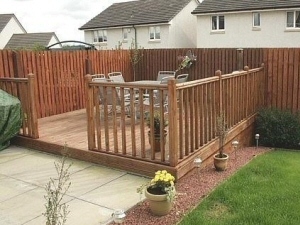 Garden decking, fencing and landscaping to the rear of a Blakcpool propertyGarden decking creates a focal point which is ideal for entertaining friends and family or just sitting out to enjoy that hot summer they keep promising. It is easy to maintain and helps to extend your living area beyond your back door. And with a little mood lighting and other features, it can really boost the wow factor of your property. J C Joinery design and install garden decking, fencing, arbors, gates, railings and more, as well as providing other landscaping services, including paving, gravel / barked areas and raised beds. We also undertake larger Commercial Work including decking for pub and restaurant seating areas. With J C Joinery, you can be assured of Decking finished to a high standard, using quality materials and at a reasonable price. All wood used will be well treated and hard wearing, with stainless steel screws throughout to prevent unsightly rusting. 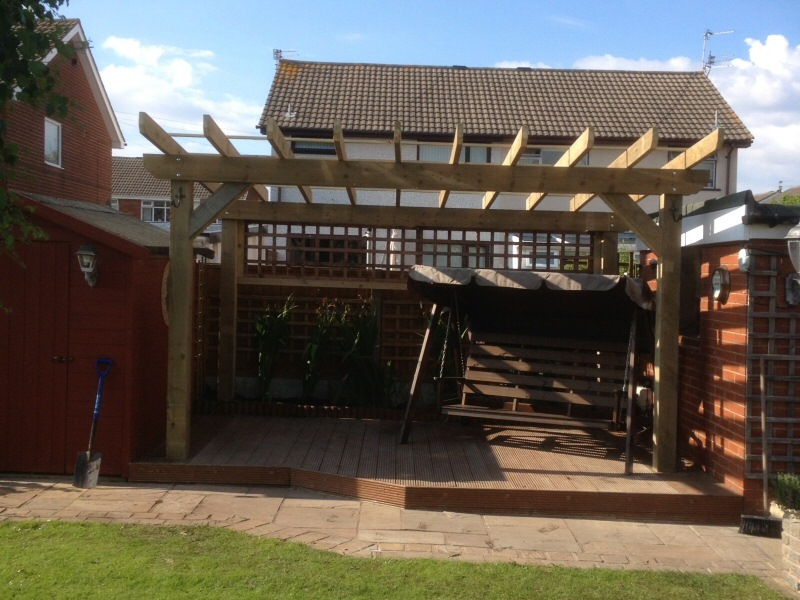 For examples of our Decking work, have a look through our Photo Gallery below. References from previous customers are also available on our Testimonials page.